American car manufacturers are most commonly associated with the Malaise era in the late 1970's, but British manufacturers were far from immune to the changes to the safety and pollution regulations of the time. 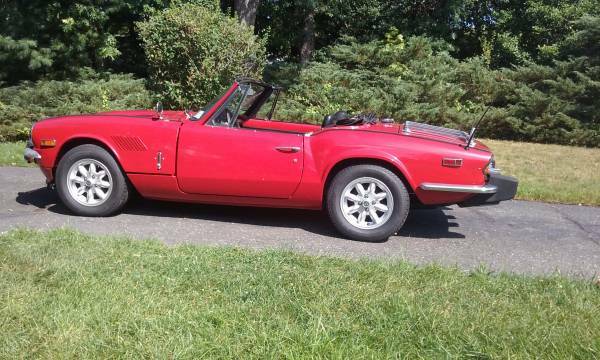 The 1976 Triumph Spitfire had a curb weight of only 1800 lbs, but it's 1500 four cylinder engine weazed out enough horses for a 16 second 0-60 time. The Triumph GT6 coupe straight six engine produced considerably more gusto and made far more pleasing sounds. Today's Spitfire is a bit of a mashup between the two Triumph models. It would appear the builder intended to build the Spitfire that should have been offered from the factory. 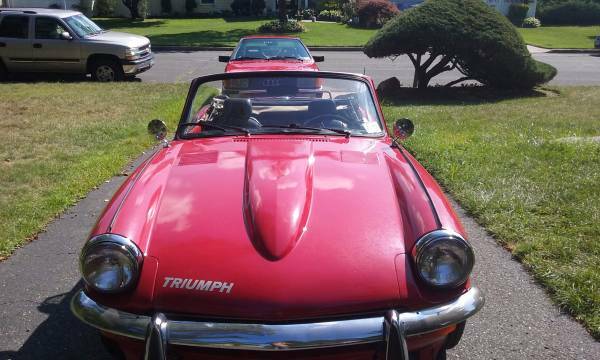 Find this 1976 Triumph Spitfire for sale in Coram, NY for $6,500 via craigslist. The Spitfire drivetrain has been replaced with a engine, overdrive transmission, and rear differential from a early 1970's GT6. The GT6 hood has replaced the Spitfire one. 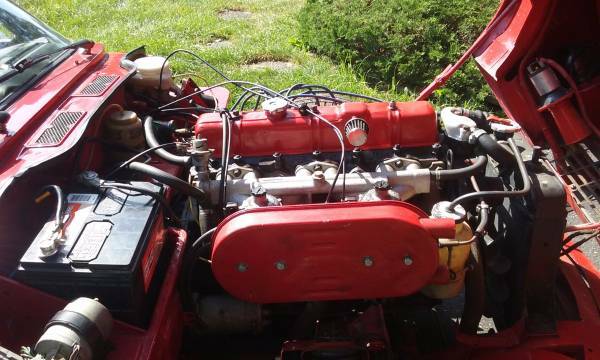 The seller advertises this as a rust free car that runs very well and is all dialed in. The original wheels are included in the sale, but period looking 15" Mini-lites with new tires are shown in the pictures. Other highlights include a full exhaust system, dual Stromberg carbs, new fuel regulator, matching hard top, rear adjustable air shocks, new top boot, and brand new (not installed) Leyland seat covers. 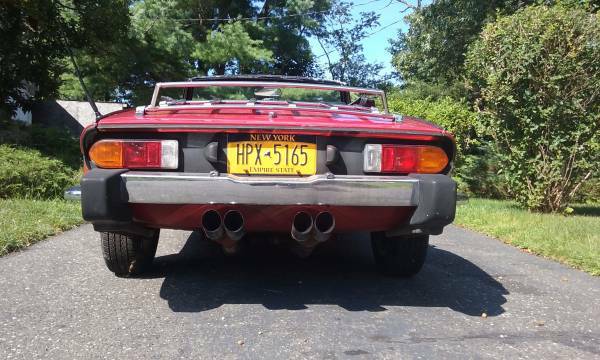 Who doesn't love four exhaust pipes poking out from a straight six powered car? Cory is working on the e-brake system on his 1995 Mercedes C36 AMG. Building a "Spit6" is a popular conversion and what a lot of Triumph guys think the factory could have done. However, I asked Mike Cook directly that question when I saw him at the Road Atlanta Mitty weekend in 2012. He said the factory would not have done this. He worked for Triumph USA for marketing and advertising from the New York City office during the 1960's and 1970's. He said that Triumph execs didn't do that even after the demise of the GT6 because they didn't want it to compete with the TR6 and later the "new" TR7. But it's a good conversion because it's all Triumph instead of shoving a Chevy or Ford engine where it was not meant to be. Cheers!